Recombinant human erythropoietin (rhEPO), darbepoetin alfa (DPO) and methoxy polyethylene glycol-epoetin beta (PEG-EPO) are synthetic analogues of the endogenous hormone erythropoietin (EPO). These erythropoiesis-stimulating agents have the ability to stimulate the production of red blood cells and are commercially available for the treatment of anaemia in humans. These drugs are understood to have performance-enhancing effects on human athletes due to their stimulation of red blood cell production, thereby improving delivery of oxygen to the muscle tissues. Although their effect on horses has not been proven, these substances were thought to be similarly performance enhancing and have indeed been applied covertly to horses. As such, these protein-based drugs are prohibited by authorities in both human and equine sports. The method officially adopted by the International Olympic Committee (IOC) and World Anti Doping Agency (WADA) for the confirmation of rhEPO and/or DPO (rhEPO/DPO) in human urine is based on electrophoresis in combination with Western blotting. A shortcoming of the WADA method is the lack of definitive mass spectral data for the confirmation of a positive finding. Recently, a liquid chromatography–tandem mass spectrometry (LC/MS/MS) method for the detection and confirmation of rhEPO/DPO in equine plasma was reported. However, we have not been successful in achieving the reported sensitivity. This paper presents a method for the detection and confirmation of rhEPO/DPO, as well as the newly released PEG-EPO, in equine plasma. The procedures involve immunoaffinity extraction using anti-rhEPO antibody-coated Dynabeads followed by trypsin digestion. The injected extract was further purified and concentrated using an on-line trap column in the nano-LC system. 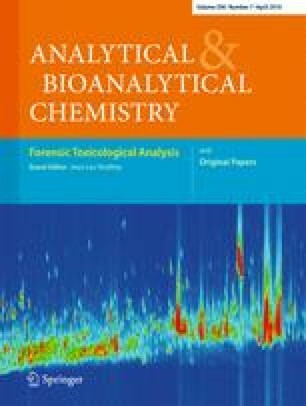 Detection and confirmation were achieved by monitoring a unique peptide segment of rhEPO/DPO/PEG-EPO using nano-liquid chromatography–tandem mass spectrometry equipped with a nanospray ionisation source operated in the selected reaction monitoring mode. rhEPO, DPO and PEG-EPO can be confirmed at 0.1, 0.2 and 1.0 ng/mL, respectively, in equine plasma. The authors would like to thank Prof. Robert Qi and his colleagues from the Hong Kong University of Science and Technology in providing advice and facilities for anti-bodies’ evaluation. The technical assistance from Mr. M. Y. Lau and Mr. Chris Szeto are gratefully acknowledged.